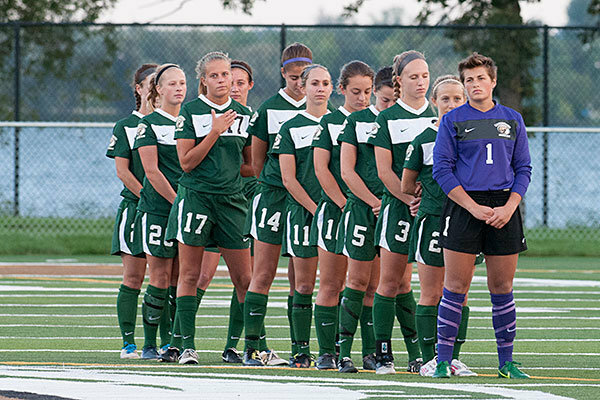 The Bemidji State University Women’s Soccer College Bound Camp is for 9th to 12th-grade female soccer players. It is a 3-day camp from August 4 to August 6, . It is an opportunity for aspiring soccer players to advance their skills. The camp will introduce high-level technical and tactical training sessions. Players will experience competitive 5v5 as well as 7v7 games. The camp will also discuss college recruiting procedures. It will also give campers an insight on a collegiate athletes life. The camp facilitators are the Bemidji State University Women’s Soccer coaching staff. Coaches from other top universities will also join the event. The camp will take place at the state of the art BSU Soccer Field. Bemidji State University is a public university along Lake Bemidji. It is an affiliation of the Minnesota State Colleges and Universities system. The university is 92nd in the US News and World Report, Regional Universities rankings. It is 115th in the Regional Universities Midwest, edition of Best Colleges rankings. It offers around 65 undergraduate majors and pre-professional programs. And, 14 graduate programs. Currently, the university has around 6,000 undergraduate students. The university sponsors 14 intercollegiate athletics teams. Their nickname is Beavers. Then, their identity colors are green and white. The teams are participating in the Northern Sun Intercollegiate Conference of NCAA Division 2. Jim Stone is the Bemidji State University women’s soccer team head coach. He is coaching the team since 2002. Also, Coach Stone is the winningest coach in Bemidji State University soccer history. He is also a National “B” License holder. And, a United States Soccer Federation national youth license holder. Then, the team’s assistant coach is Andrew Janssen. Additionally, he is also the team’s recruiting coordinator. Coach Janssen is already entering his 6th season as the team’s assistant coach. And, he is the former director and coach of the Orange City Parks and Recreation soccer program. Bemidji State University Women's Soccer College Bound Camp is for 9th to 12th-grade female soccer players who wants to play high-level soccer.